*Event is online and in-store, but may vary. See your sales associate for in-store details. In-store offer ends December 9, 2018. 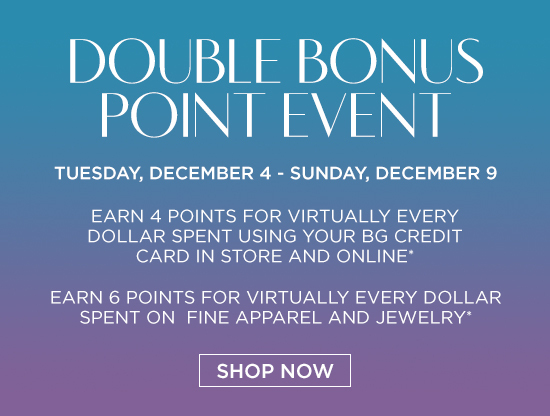 InCircle® bonus points are earned December 4, 2018 - December 9, 2018, on purchases made with your Bergdorf Goodman® or Neiman Marcus® credit card at Bergdorf Goodman or bergdorfgoodman.com. President's Circle members earn 15 bonus points for virtually every dollar spent. Earn Double InCircle® bonus points on any purchase and Triple InCircle® bonus points on designer and precious jewelry and fine apparel. Items that earn Double or Triple InCircle® bonus points will be designated on the site with an indication on their product page. Exclusions may apply. Your account must be in good standing and at current point level for 30 days to be eligible for redemption. Bonus points are earned only after applicable discounts or gift card values have been applied. Enrolled Platinum Card® and Centurion® members from American Express are not eligible for bonus-point opportunities. InCircle® bonus points will be awarded to the account used within six weeks from date of order. In-store bonus points will be awarded separately. Delivery and processing charges, taxes, alterations, beauty salons, Gift Cards and previous purchases are not eligible for InCircle® bonus points. Any offer that awards bonus points cannot be combined with other InCircle® bonus point offers. Returns and canceled orders will result in bonus point adjustments. Neiman Marcus Group employees are not eligible for this offer. Online offer expires December 10, 2018 at 9:00 AM CT.
**Online and In-store. Offer may differ in store. Please see your sales associate for store details. Savings off original prices. Selected merchandise only. Savings will be reflected at checkout. Interim markdowns may have been taken. Some exclusions may apply. No adjustments for prior sales. ***Free shipping for purchases and returns on most items, includes Standard Delivery only. No code required. Taxes apply to some orders. For a small percentage of items, such as oversized items, items shipped from vendors, or shipments outside of the United States, delivery and processing charges may apply. 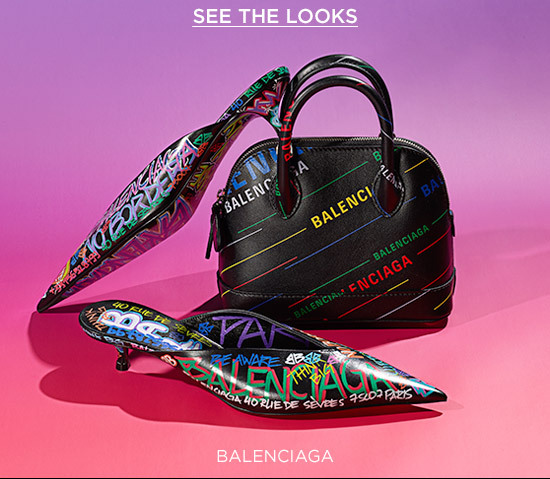 For complete delivery, shipping, and return and exchange details, including cost and delivery time, visit BergdorfGoodman.com, click on Assistance, select Shopping Online & In-Store, then click on Shipping and Delivery or call 1.888.774.2424. 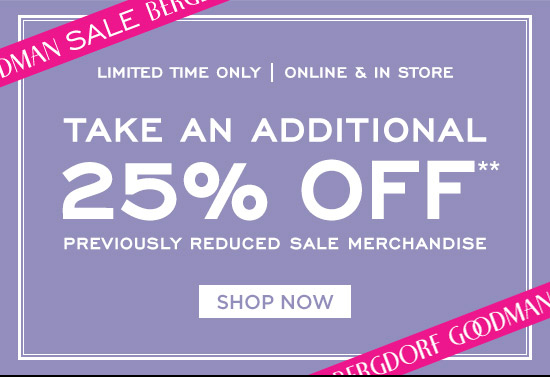 To ensure delivery to your inbox, please add bergdorf@bergdorfgoodmanemail.com to your address book.